I debated whether this should be called a fish stew rather than a soup as there is definitely more fish than soup. However, soup won out in the end on the basis that I needed a spoon to eat it. The aioli really packs a punch in the garlic department and I’m not usually a fan of lots of raw garlic but, the point about aioli is that it is used to flavour (and thicken) the soup so needs some heft. I have suggested stone bass but you could substitute hake or monkfish. 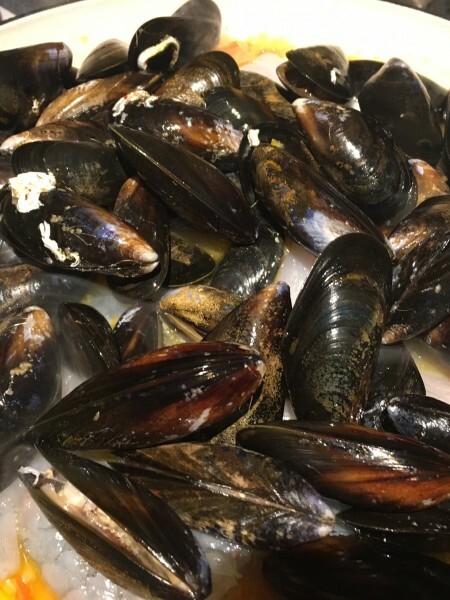 To prepare the mussels, scrub them, pull off the beards and discard any with cracked shells or any that remain open when tapped. 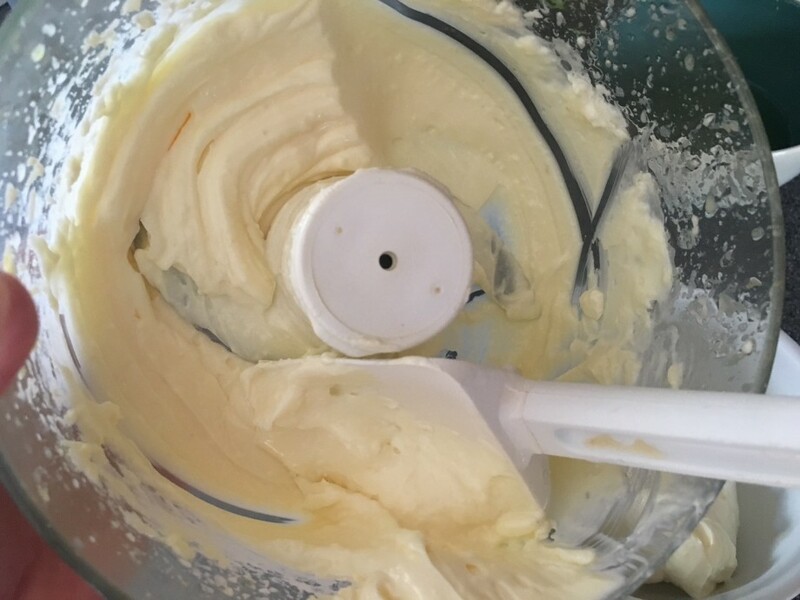 For the aioli, put the egg yolks, mustard powder, garlic and half the lemon juice in the small bowl of a food processor. Add a good pinch of salt and blend for about 20 seconds. With the motor running slowly drizzle in half the oil. The aioli should be quite thick by now. Add the remaining lemon juice and slowly drizzle in the rest of the oil. If the aioli is too thick you can let it down with a tablespoon of warm water. Taste and add more salt if necessary. Scrape into a bowl and refrigerate until you are ready to serve. For the soup, heat the oil in a large casserole-I like a shallow wide one as the fish cooks evenly. Add the onion, fennel, leek and garlic and cook over a low to moderate heat, stirring regularly, for 15 minutes. Pour in the wine and bubble until reduced by half. 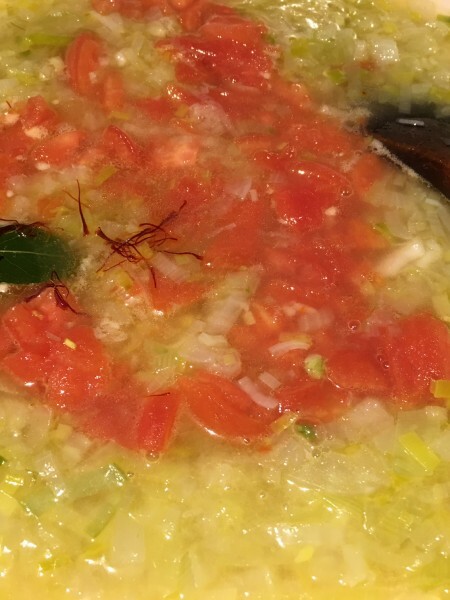 Add the tomatoes, fish stock, saffron and bay leaf and bring to the boil. Turn the heat down and simmer for 20 minutes. 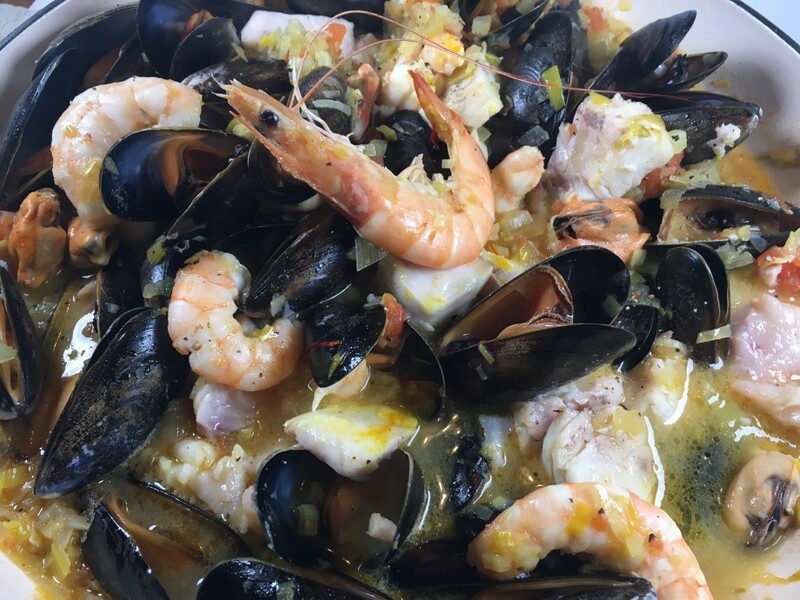 Season with salt and ground black pepper and add the stone bass pieces, prawns and mussels. Turn the heat up a little, cover with a lid and cook for 5 minutes. 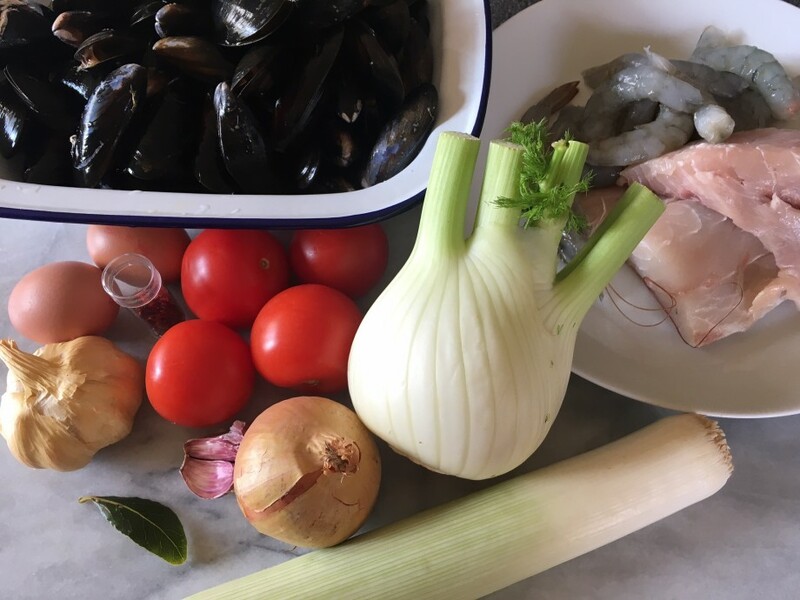 Stir the fish soup gently then cover and cook for a further 3-4 minutes or until the fish is opaque, the prawns are pink and the mussels are open. Serve in bowls with a tablespoon of aioli and some crusty bread.